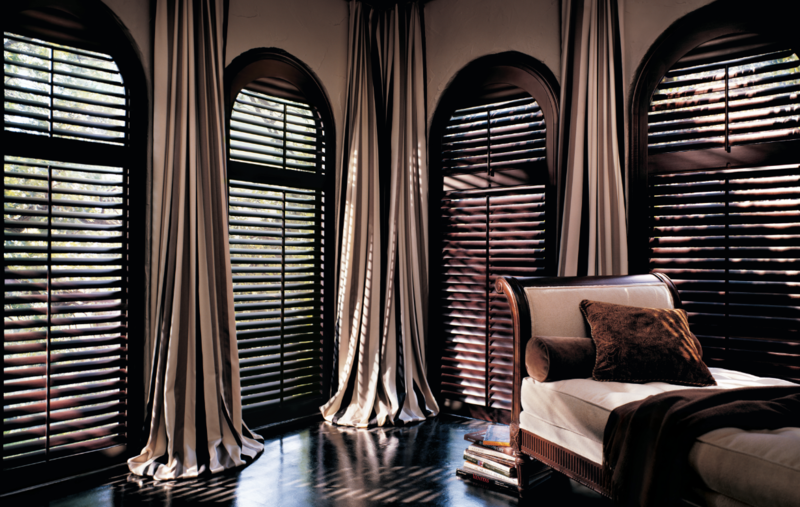 For Centuries, shutters have been known for their elegance and beauty and continue to be an investment in style. The Hunter Douglas Custom Shutter Collection, with their meticulous craftsmanship and dramatic design, makes it easy to find the perfect shutter to match your taste and budget. Choose from three distinctive product lines including Heritance® hardwood shutters, NewStyle® hybrid shutters and Palm Beach™polysatin shutters, each offered with multiple design options to customize to your home. We also offer our own line of solid wood shutters manufactured locally that are available in custom colors. Whatever your style, you’ll find the right choice among our distinctive shutter products— perfectly complementing one another, providing unlimited design possibilities for your home.